Chip in to help us keep up our momentum! Any donation will help spread John's message across the country. Contributions to Kasich For America are not deductible as charitable contributions for federal income tax purposes. 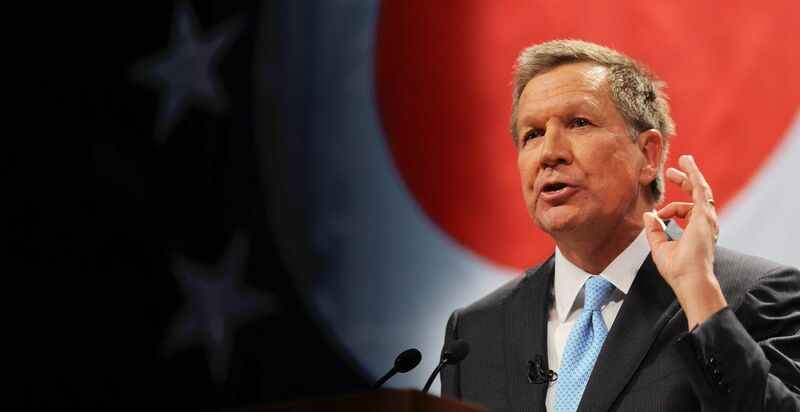 Contributions to Kasich For America will be used in connection with federal elections and are subject to the limitations and prohibitions of federal law. The maximum an individual may contribute is $2,700 per election. Couples may contribute up to $5,400 for each election, and joint contributions require the signature of both donors. Federal multicandidate PACs may contribute up to $5,000 for each election. Contributions by foreign nationals, corporations, and federal government contractors are prohibited. Contributions must be made from personal funds and may not be reimbursed by any other person. Contributions made in the name of another are strictly prohibited. Federal law requires us to use our best efforts to collect and report the name, mailing address, occupation and name of employer of individuals whose contributions exceed $200 in an election cycle. It is the policy of Kasich For America to not accept contributions from employees of the State of Ohio. If you have any questions or need any additional information regarding this policy, please contact Kasich For America at info@johnkasich.com.